Give The Finger To Finger Buildings, Greenpointers! See the above map? 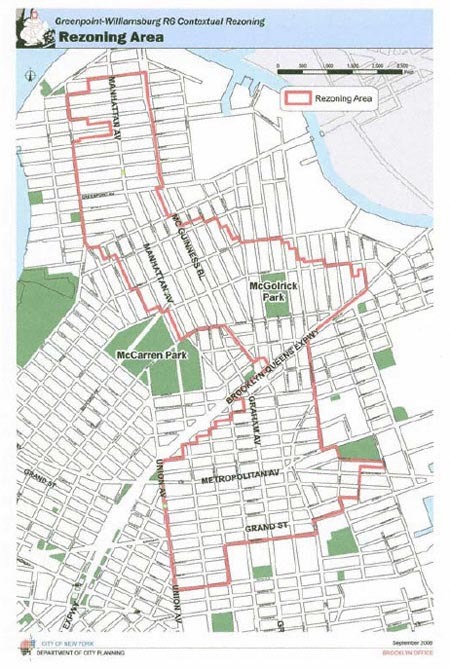 Do you live in the demarcated area? Do you despise the crass over-development of your neighborhood at the expense of its charm (and yes, this includes vinyl siding)? If so mark your calendars comrades! 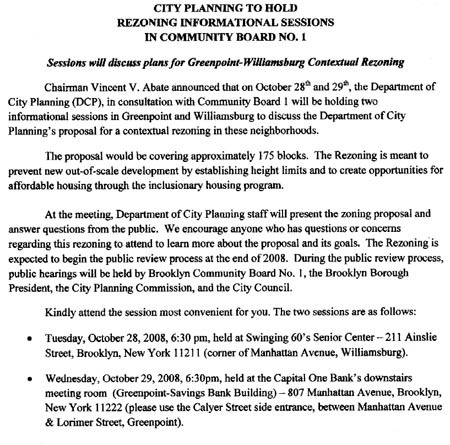 Community Board One is holding two “informational sessions” about contextual rezoning next month: October 28 & 29 respectively. or prepare for yet more “fingers”. P.S. : Note that Karl Fischer’s Frankenfinger* (whose workers spritzed me with cement earlier this week while working ILLEGALLY) falls within the rezone area. Do you want this thing (and its 17 “high end residential units”**) to blight our neighborhood? I am certain it will look perfectly “in context” with its neighbor: The Astral Apartments. Because we all know Karl cares a lot about context. *A bigass hideous building given the green-light by the auspices of a modification permit, thus violating the spirit but not the letter of the law. Not much of the original structure is still extant, by the way. I imagine Karl will leave a brick or two for old times sake! **Looks like more than 17 units to me but what do I know?